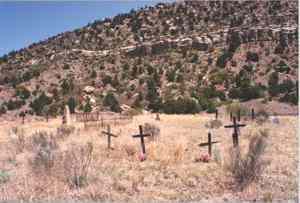 The cemetery of an old silver boomtown is haunted by the ghosts of miners killed in two tragic cave-ins. Do the miners killed in several accidents haunt this cemetery? Not quite. SGHA solves the mystery of the ghost lights. Click the link below to read our report.